The Serbian Commission for Protection of Competition has allowed Myronivsky Hliboproduct (MHP) to acquire 90.69% of Perutnina Ptuj (Slovenia), a vertically integrated company in Southeastern Europe. 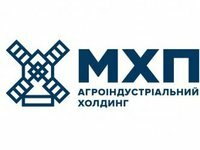 "The planned concentration will be carried out on the basis of a stock purchase agreement ... After the transaction MHP SE will own 90.69% of the total number of Perutnina's shares. Companies in Serbia related to Perutnina ... carry out activities for breeding broiler chicken, egg incubation, production and sale of fresh and processed poultry," the Serbian agency said. As reported, on September 21, 2018 MHP received a notice of registration of an application for the purchase of Perutnina Ptuj from the Slovenian Competition Protection Agency. The agricultural holding also announced its intention to acquire shares in Perutnina Ptuj on the London Stock Exchange on September 26 after it had received notification from the Federal Competition Authority of Austria on the registration of its application for the purchase. "MHP is taking a strategic step to expand its activities, which will bring additional value to the company and strengthen its position as a global player. Perutnina Ptuj, in turn, gets a strategic and long-term investor. Perutnina Ptuj owns strong brands and a significant share of the value-added product market, while MHP is ready to support these positions with the help of investments and their further development in future," MHP reported. MHP, in particular, intends to improve the quality of the production base (assets) of Perutnina Ptuj.